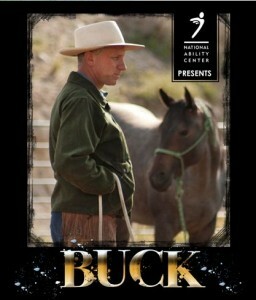 The National Ability Center is honored to host Buck Brannaman, leading horse trainer and the inspiration for the film and book, “The Horse Whisperer”, and star of movie “Buck”, a 2011 Sundance Film Festival US Documentary Audience Award. Start the week off with a FREE screening of “BUCK” the film, presented by Sundance Institute on Monday, May 14th. Then join us for the main event, Demo & Reception on May 15th, with the man himself, BUCK BRANNAMAN! 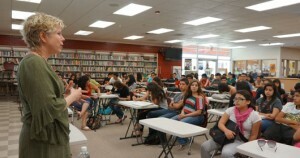 Tickets go on sale April 18. 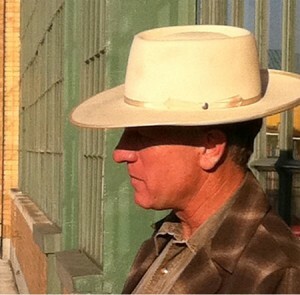 A true American cowboy and hero, Buck travels the country year round helping horses with people problems. Buck has a phenomenally successful approach to horses. He teaches pepole to communicate with their horses through respect and sensitivity, not punishment. ENCAMPMENT, Wyo., March 22, 2012 /PRNewswire/ — Santa Fe, N.M., author Johnny D. Boggs won Spur Awards for two novels, while Rod Miller of Sandy, Utah, also won two Spurs this year for poetry and a short story, Western Writers of America has announced. Director Cindy Meehl and producer Julie Goldman (Cedar Creek Productions) will receive the Spur in the Documentary Script category for BUCK, a film about legendary horseman Buck Brannaman. When I was about ten years old, my father surprised me by taking me to a veterinarian’s office to pick up a dog. It was a “mutt,” a mixed breed, part collie and part something else. The visit was one of my “wow” moments growing up. I named the dog Shep, and we became fast friends. He would sleep at the foot of my bed, chew at the bedpost, and wake me up every morning with a happy look. My father taught the dog to go the newsstand a block away and to bring home the paper in its mouth. I thought that was really cool. When my day did not go well, Shep was always there to cheer me up. He was my dependable friend. But, like many kids, I was not diligent about walking the dog and taking care of all the stuff that goes with caring for a pet. Eventually my mother gave the dog away, and I spent that fateful day crying over my lost Shep. A strong vibe of comfort, of serenity and reassurance, radiates from its frames. The fascinating, elusive subject matter of the documentary, the vast picturesque green vistas of the southern grazing lands captured so lovingly, so reverently, by the poised, perceptive lens, and the patient narrative that is thoughtful and romantic in parts yet alarmingly realistic in others render “Buck” a quintessentially American film devoid of the many trappings of American films.